Perth, Aug 29, 2011 (Global Fashion Wire) - The Third International Conference of Fashion Incubators will be held at the Parmelia Hilton in Perth from the 11th until the 13th of September 2011. Murray Yarran a Noongar man from the Ballardong tribe will perform the 'Welcome to Country' at the opening of the conference. 'Welcome to Country' is an important ceremony by Aboriginal people and inviting them to perform it helps non-Indigenous people recognise Aboriginal culture and history. The process of `Welcome to Country' recognises the unique position of Aboriginal people in Australian culture and history. It recognises that Aboriginal people the original Custodians of the Land and enables the wider community to share in Aboriginal culture and heritage, facilitating better relationships between Indigenous people and other Australians. Mr Yarran has been involved in Aboriginal and Government Politics for many years and has a strong ongoing connection to his heritage and culture. Murray is a director on a number of peak Aboriginal organisations like Perth Noongar Foundation, Western Australian Aboriginal Legal Service ,Kaata -Moorda Aboriginal Corporation and is also employed at Peedac Pty Ltd which is a peak Aboriginal employment and training organisation. Mr Yarran said, "I am a very keen advocate for human rights and have been on numerous Aboriginal and local government bodies. I am also involved with environmental and heritage activities. 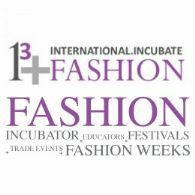 I am looking forward to performing the 'Welcome to Country' at the Third International Conference of Fashion Incubators." Conference Convenor, Carol Hanlon said "We are honoured to have Murray Yarran perform a 'Welcome to Country' and to showcase the talents of Aboriginal artist Jilaga Murray-Renui and Indigenous designers and textile artists from WA & Northern Territory at our event".